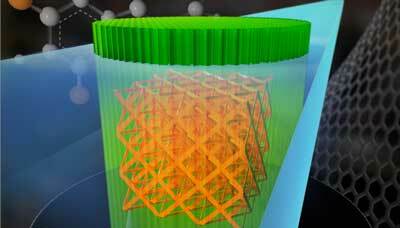 (Nanowerk News) Lawrence Livermore National Laboratory (LLNL) researchers have discovered novel ways to extend the capabilities of two-photon lithography (TPL), a high-resolution 3D printing technique capable of producing nanoscale features smaller than one-hundredth the width of a human hair. The findings, recently published on the cover of the journal ACS Applied Materials & Interfaces("Radiopaque Resists for Two-Photon Lithography To Enable Submicron 3D Imaging of Polymer Parts via X-ray Computed Tomography"), also unleashes the potential for X-ray computed tomography (CT) to analyze stress or defects noninvasively in embedded 3D-printed medical devices or implants. The frozen 3D-printed brain scaffold. After the scaffold thaws, scientists coat the structure in collagen and populate it with human cells. The black scale bar represents 10 millimeters. "Additive manufacturing," or 3D printing, promises to allow doctors to produce tailored organs for patients using the patients' own cells, which could help bring down the severe shortage of organs available for people who need transplants. "The types of biological structures that have been printed before would be things like bones or stiffer organs, such as the liver and kidney," said Zhengchu Tan, a researcher in the Department of Mechanical Engineering at Imperial College London and the lead author of a recently published paper describing the new 3D-printing technique. "We have used a very soft material, which is a composite hydrogel, and printed the softer tissues similar to the brain and possibly lung as well," Tan told Live Science. But the problem with 3D printing very soft materials is that the underlying layers tend to collapse as additional layers are added on top of them during the 3D-printing process, Tan said. Indeed, the process of 3D printing involves creating an object layer by layer, which means that the lower layers need to be able to support the weight of the growing structure. To get around this problem, the researchers cooled things down — literally. "We are using a cryogenic printing process, which means that the previous layer is frozen," Tan said. “Freezing makes the layer very solid and stable so that the next layer can be printed on top of that and the 3D object doesn't collapse under its own weight." After the printing is complete, the engineers can slowly thaw the object, and it keeps its shape, she said. 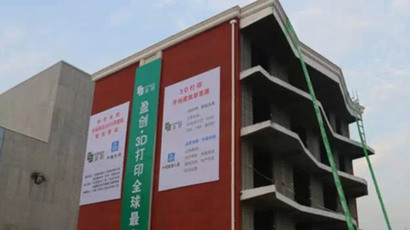 To 3D print the scaffold, the researchers used a novel composite hydrogel that consists of two components: a water-soluble synthetic polymer polyvinyl alcohol, and a jelly-like substance called Phytagel. Then, they coated the resulting structure with collagen and populated it with human cells. For the purposes of the experiment, however, the researchers used skin cells instead of brain cells on scaffold designed to mimic the human brain. "If you try to 3D print a full brain with a standard commercially available 3D printer, it's going to be very challenging," said senior study author Antonio Elia Forte, a research associate in the Department of Bioengineering, also at Imperial College London. "When you get into complex structures, the softer you go with material properties, the greater risk that the geometry will collapse on itself," Forte told Live Science. The current cryogenic technique the researchers use cools the material through the 3D-printing plate, Forte said. That means that layers further removed from the plate would thaw before the entire object was printed, and the whole cryogenic effect would be lost. In the future, the researchers could further evolve the technique by using a chamber that would keep the whole object cold, Forte said. Still, the new technique is a step forward. "Now we are finally able to print very soft materials, and this wasn't achieved before," Forte said. 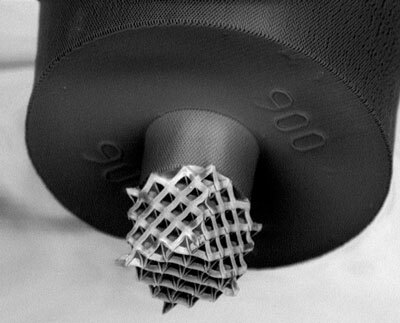 Moving forward, the researchers aim to improve the technique to be able to print larger objects. Forte added that bioengineers are probably still decades away from creating fully functioning complex human organs such as brains or lungs using 3D printing. Nonetheless, the current technique could be used to help researchers study how brain or lung tissue behaves under various conditions — for example, in impact situations, such as traumatic brain injuries. The paper was published in November 2017 in the journal Scientific Reports. Make your own products with 3D printing! Visit our FAQ's section for more! Very good Miss, but how do I print a gun? Learning lessons from the past and from the challenges faced by the entertainment industry, should, in theory, assist us in dealing with emerging technologies. More than a decade ago, Napster opened up the doors to a new world of file-sharing which was immediately dealt with through litigation. This has been the trend ever since. Similar to what took place during the Napster revolution, the recent surge in 3D printing sites such asThingiverse, have the potential to enable or at least encourage users to infringe products protected by intellectual property laws. In 2011, Games Workshop a British game production company served a notice and takedown orde on Thingiverse under the US Digital Millennium Copyright Act 1998. This was in response to users producing models similar to those sold in Games Workshops. 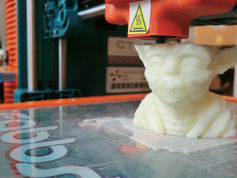 Although the dispute took place in the USA and was settled out of court, it is a prime example of the issues that need to be tackled if 3D printing continues its meteoric rise. The power of 3D printers extends beyond their ability to print life-saving human body parts. The printers can also print almost anything from cutlery to complex machines.Mark Pestkowski sells 3D printers in Australia and says the printers could fundamentally change society. "In 10 years' time, everyone will have a 3D printer. It will change the way we buy products because much of what we need, we can make at home. Watch the full interview with Mark Pestkowski from the 3D Printer Superstore on Today Tonight. Australian company ART 3D & Advanced Rollforming Technology, based in Thomastown, aims to make a giant 3D printer available by October. 3D Printing Industry reports that ART 3D’s first (and smallest) giant-sized machine will be 1 metre wide, 1 metre deep and 400 mm tall, and will have a footprint of 1,400 mm by 1,400 mm. The company was started by Jason Simpson and his father to create components and machinery for the manufacturing industry. “In the mid 90′s we started building our first robotic X-Ray system for Berthold Australia, end customer being ASIO (The Australian Security Intelligence Organisation),” Simpson told 3D Printing Industry. The machine that the Simpsons are currently working on “has 4 separate zones for heating using less than 2000 watts in total for all 4 zones heating up to 120 degrees,” as well as a 12-rail system for the x and y-axes, with four extruders printing with 3 mm and 1.75 mm filaments, and uses a Windows 8 operating system. They aim to keep its price below $100,000. 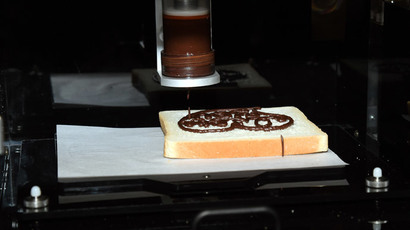 "We feel like this is the year of 3D printing," MakerBot spokeswoman Jenifer Howard told AFP.